Interviews can be a very dramatic and powerful medium but if you don’t give them due care and attention, they can look awful so it’s important to know a few useful tips and techniques to create the desired effect. Before you even begin filming, make sure that you’ve found a suitable interviewee whenever possible. Of course, that’s not always possible if you have to interview a specific person who you may not ‘connect’ with or who might not have anything that interesting to say. However, the best subjects for interview are those who are passionate about the particular subject you’re looking to talk to them about and who can articulate that well. Making movies including interviews are better when you’ve been able to establish some kind of rapport with the interviewee first and have been able to put them at ease. By doing this, you’re far more likely to get more information out of your subject. Good tips also include always trying to film an interviews for movies in locations which enables the audience to connect to the interviewee where possible. Examples might include shooting the interview in their day-to-day surroundings, e.g. a teacher might be filmed in a classroom or in the playground and a sports person will often be filmed on the pitch, court or playing area of their chosen sport. When setting up the camera to film your interview, useful tips include making sure that your subject is brighter than the background behind them otherwise their face will appear dark. You should never position a subject with a window directly behind them and in outdoor environments, shoot the interview with the sun behind the interviewee’s back. To make it seem natural, another useful technique is to ask the subject to keep looking directly at you, the interviewer, and not at the camera. When filming a subject, you can adopt several techniques in your movies to emphasise different things. A medium shot is from the waist to the head and a medium close up is from the chest to the head. Either of these techniques is used when the subject is simply answering your questions and both of these techniques are often used as establishing shots. However, where you might be looking to ask a contentious question or a question which might provoke a strong emotional response from the subject, it is often better to use the close-up technique where you can just see the subject’s head and face. This heightens the dramatic intensity of their response. Wide-angled shots can also be used where something of key importance is going on within locations in the background. An example might be where you’re interviewing a football coach but you also want to include the team training in the background. It’s often useful to use two cameras and to film cutaway shots too. This is where the subject is answering a question yet the viewer is watching something else on screen whilst the subject is featured in voiceover only. A good example of this would be if you were interviewing a zookeeper about the latest addition to the elephant enclosure yet whilst they were telling you about it, a second camera would be filming the new baby elephant. Using two cameras and including cutaways are good tips to get into the habit of using when filming interviews as they not only give you more choices when it comes to editing but it also enables you to use cutaways where the subject may be using hand gestures or facial expressions that might take the viewer’s attention away from what they are trying to say. Do not overlook the sound quality especially if you’re outdoors where there may be unwanted noise distractions. 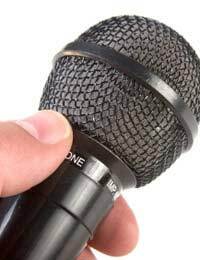 Investing in good quality tools such as clip microphones can be very beneficial too as a subject will often be far more natural in their response than where you’re shoving a hand held microphone in front of their face. Digital editing can cover up many mistakes but not if you're sound is awful. Try to keep your questioning ‘conversational’. Good hints include using more open ended questions that allow the subject to elaborate. You'll be able to edit out irrelevant speech when it comes to doing your digital editing later. Having long lists of questions which you’re simply reading off a sheet in a monotone fashion is likely to put your subject on edge. Therefore, even though it’s an interview, you should try to be natural, make good eye contact with the subject and use nods of your head etc., to show them that you are listening to them and that you are interested in what they have to say. Other useful tips include keeping the microphone running at the end of an interview as it’s often at that point when the subject might remember something else that could be the most important or interesting point they’ve made. Also, good tips include making sure that you’ve done your background research and know something about the subject and their area of expertise. There’s nothing more off putting for a person who faces a lot of interviews if you’ve clearly not bothered to find out that much about them or you ask the ‘same old questions’. Finally, make sure that all of your equipment and tools are working before you set off and that any batteries are fully charged or you're carrying spares. An interview opportunity is often only a 'one-chance' shot.